We are a leading Manufacturer of roasted peanut peeling machine, 10 kg/ batch potato slicer, batch fryer, snacks mixing machine, kurkure making machine and circular rectangular batch type frying system from Pune, India. 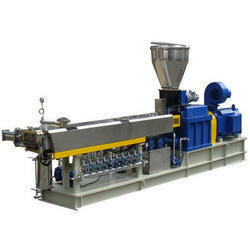 Wet type peanut peeling method is quite different from dry type peeling which disposes of roasted or dried peanuts. It is to peel soaked or immersed peanuts, almonds, soybeans, mung beans, and broad beans. 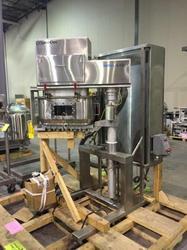 The unique residue separation device ensures clean and integral peanut kernels. Small in size, energy saving, and high efficiency. 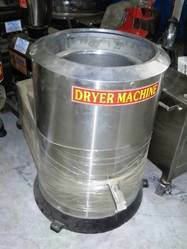 It is used for frying potato chips, banana chips, namkeen etc. As its name suggests, eight square seasoning machine comes with a octagonal drum. It is designed to mix various materials, and can be used for oil spraying, sugar coating and seasoning, etc. It is applicable for seasoning various foodstuffs during food production, such as puffed snacks, pellets, nuts, beans, and chips, and more. 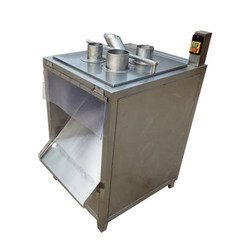 Eight square seasoning machines is especially designed for various fried food. If you need a flavoring equipment. Wided Application. it could be used to favor many kinds puffed snack, fried snack, fried nuts, pet food fish feed and so on . Selection Diversity. We could offer you eight-square flavoring machine, Single-roller flavoring machine, Double-roller flavoring machine. And the machines could spray oil and flavoring powder to the surface of food. Good Quality. 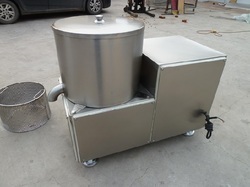 All parts contact the food adopts stainless steel as raw materials Easy to clean, and prevent food pollution. Energy Saving. All motors in the machines adopt Chinese famous brand. What's more, we could change it according to your requirements if you need. Kurkure is special extruded snacks, very crunchy and great in taste. They are made by a special extrusion process. The corn grits is moisturized in the flour mixer with water and fed to the rotary head extruder. In the extruder, due to the two rotary plates made of yellow brass, the corn grits are squeezed and twisted to form curls shape. The curls pass through the die and gets cut by the cutting knifes into required lengths. Nik Naks/Cheetos/Kurkure/Corn curls are special extruded snacks, very crunchy and great in taste. They are made by a special extrusion process. The corn grits is moisturized in the flour mixer with water and fed to the Rotary Head Extruder. In the extruder, due to the two rotary plates made of yellow brass, the corn grits are squeezed and twisted to form curls shape. The curls pass through the die and gets cut by the cutting knifes into required lengths. 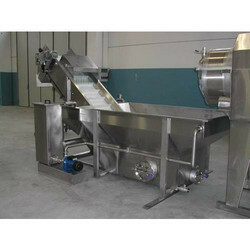 This machine is used to spray oil and additive on the surface of the fishfeed pellet for flavoring. It will make the fishfeed more delicious. Rotary can flavor feeds more evenly and homogeneously. 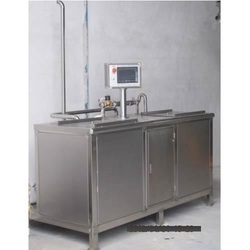 Bundi Continuous Frying System consists of 26" Automatic continuous Fryer SS 304 model for boondi based on the Edible oil heat exchanger, Capacity 100 o 200 Kg/hr(ready product). 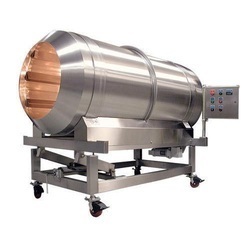 The boondi continuous frying system is suitable for all kinds of besan based products like sev ghathiya, papdi, ratlami, bhavnagri and other floating products. For boondi. Cap 100-200 (Besan, Sev, Ghathiya etc) /150-160 Dal peanut etc. 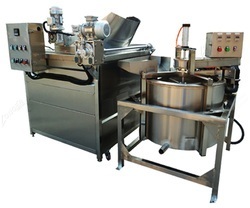 Cream Spreading Machine is an important piece of machine in the wafer line, which determines the number of wafer sheets and cream (chocolate) layers that should be made. 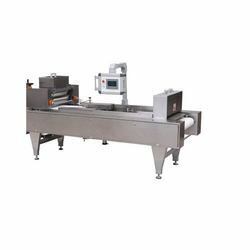 This machine has functions such as: applying cream (chocolate) layer on pre cooled wafer sheets, draw evenly the cream (chocolate) layer and making the book of wafers sheets with different layer of cream (chocolate) and sheets, then applying slight pressure to hold the wafer/cream (chocolate) together. Number of cream layers and wafer layers can be adjusted as required to have count of 3/ 4/ 5 etc. The machine will automatically count them according to the adjustment made. Anticipate the roller of filler contain automatic constant temperature control. Draw the layer thickness adjustable. 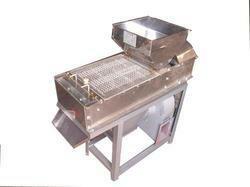 It is used for removing excess water from the food products which are fried. 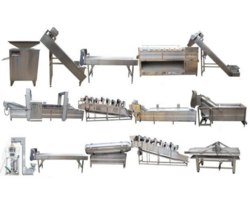 2D Pellet Process uses wheat flour, potato starch, corn starch as main material to produce a variety of pellet food in different shape which are popular in the market, such as crispy pea, shell, screw, square tube, round, wave, etc. this process line is characterized by unique techniques, rational configuration, high automation and stable performance. It can finish stamping, extruding and shaping in one step without a boiler. The products have similar shapes to the real one and taste crispy and delicious after fried. Proveg makes various models for Banana Chips Slicer. 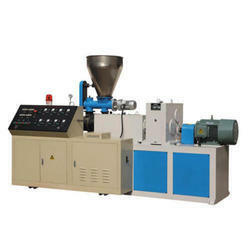 Flavoring Machine is composed of Elevator, Rotary Drum, Powder Sprayer, and Oil Sprayer. 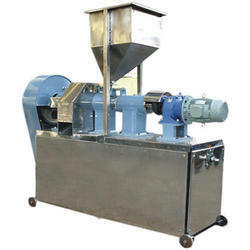 The Elevator transmits the dried extrusion snack to the rotary Drum, and at the same time, powder seasoning and edible oil are sprayed into it separately by the two sprayers. In the Drum the snacks are flavored equally. This whole line is centrally controlled by the control cabinet. The driving motors adopt frequency conversion speed governing system, and the heating system is equipped to advanced temperature control and display devices. The reasonable design, high automation, easy operation, small occupying space, and low consumption all make this process line your best choice. 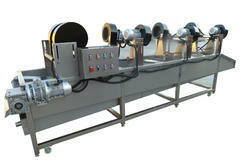 The Syrup sugar coating line (PTG) is composed of coating roller and sprayer. 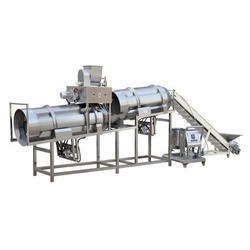 The dried expanded food is sent by elevator into the coating roller and rotated with it. At the same time, the sprayer sprays the syrup into it. With the rotating, the syrup is coated on the surface of the snacks evenly. The machines are made of stainless steel, adopting inverter and steeples speed regulating system to change the motor speed. The heating system is equipped with advanced temperature control and display devices. This process line is characterized by reasonable design, high automation, simple operation, small occupying space, and low consumption. 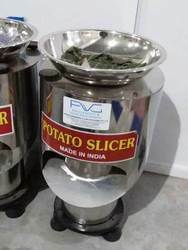 We are offering Potato Slicer to our client. 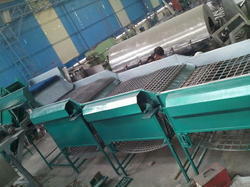 We are offering Potato Washer to our client. Fully stainless steel enlarged conditioner ensures good cooking effect. 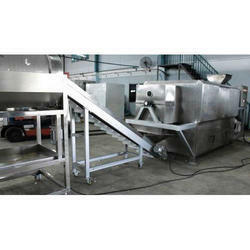 Floating and sinking fish feed, pet food can be produced with different size and shape. 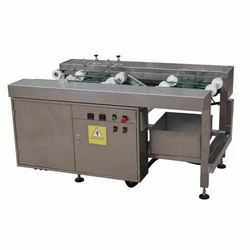 Sheet Picking Machine is used to pick the wafer sheets, if the wafer sheet with something broken, it will fall down automatically to the box at the bottom of the machine, and the perfect wafer sheet will go ahead to do the cream spreading, so as to save more cream. 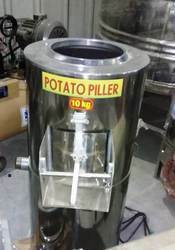 Potato Peeler Machine have Production Capacity of 10 Kg/hr. It is used for adding flavour to the food processed. Power Used is 2 Hp. Base Frame is made up of Mild Steel and Handa is made up of SS 304. This makes the batter for the system to produce the wafers. This system constitutes of batter mixing tank and batter storage tank and pumps and fittings for transferring batter. 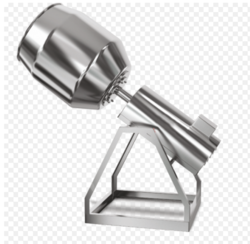 Batter mixing tank, batter transfer pump and pipes and fittings all adopt Stainless Steel food quality material. Good tightness is required for electric control cabinet; Capacity of the batter will be 25kgs of flour per batch which can be converted into about 65 kg batter within 5 minutes of mixing. 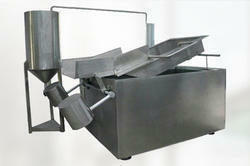 Batter Mixer will have flat type lid to cover the mixing units. 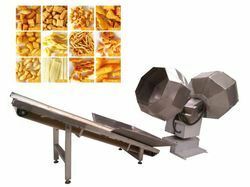 Chips Process Line uses corn powder, corn starch, and rice powder as main materials which are extruded, punched into triangle, round, square shapes, and then baked and flavored. Such snacks with crispy taste, rich nutrition and digestible structure are very popular with many people all over the world. And most important, the waste punching chip can be reused after grinding into powder, which can greatly reduce the production cost. 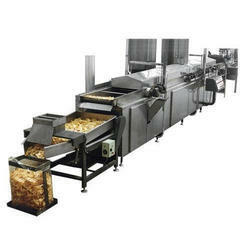 Batch fryer with inbuilt heat exchanger (heating arrangement) are available in two models having Pan dia - 48" and 36". Double Screw Extruder is for almost all kinds of snacks or food, fried and not fried, directly puffed, for human and for pet. It is applied to all the raw materials, such as corn, rice, wheat flour, oat, rye, bean, buckwheat etc. Proveg Engg offers different kinds of Potato & Banana chips Line based on their production capacity and budgetary constraint. We have the following options as follows. The Line has the following features. High oil turn over ratioIndirect Heating Arrangement. Edible Oil Holding Capt. 1000 Ltrs. 1800 Ltrs. 3500 Ltrs. Floor Space 3000 Sq. Ft. 4000 Sq. Ft. 5000 Sq. Ft.
Proveg Engg. offers different kinds of Potato & Banana chips Line based on their production capacity and budgetary constraint. We have the following options as follows. The Line has the following features. Edible Oil Holding Capt. 450-500 Ltrs. 700-800 Ltrs. Floor Space 1200 Sq. Ft. 1500 Sq. Ft. 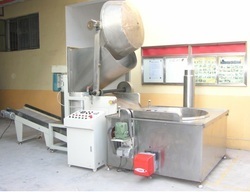 Snack Process Line can use corn, rice, and other grain powder as raw materials to produce snacks that can be fried. Snack shapes can be various, such as chip, ball, ring, net, triangle, round, etc. After fried and seasoned, the snacks are crispy and tasty which is very popular in the market. Potato Washing Machine is used for washing potatoes. It helps to remove dirt and dust present on the surface o the potatoes. We are offering Potato Dewatering Machine. 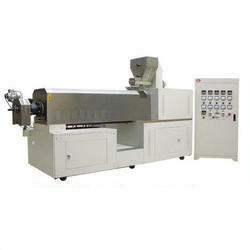 Looking for Wafer Production Line Equipments ?